I came across this recipe on Facebook yesterday and I immediately knew I had to try it out for dinner. I realize a lot of people don’t like cabbage, but I absolutely love it! I love Patty’s Day for one reason; corned beef and cabbage, oh and the excuse to drink a lot of beer. Cabbage is amazing for you, it actually detoxifies your body. You can read more about the health benefits of cabbage here. This dish was easy to make, the hardest part was just dicing the peppers, onion and cabbage and the rest really just took care of itself. This recipe serves about 6-8 people, so needless to say this will be my lunch today! This dish can be served over brown rice or quinoa but in my opinion was amazing without any carbs. Enjoy! In a large skillet, heat olive oil over medium heat. Add the ground turkey, water, onion and cook, stirring, breaking up the ground turkey until it is no longer pink and onion is tender. Add the garlic and peppers and continue cooking for a few minutes. 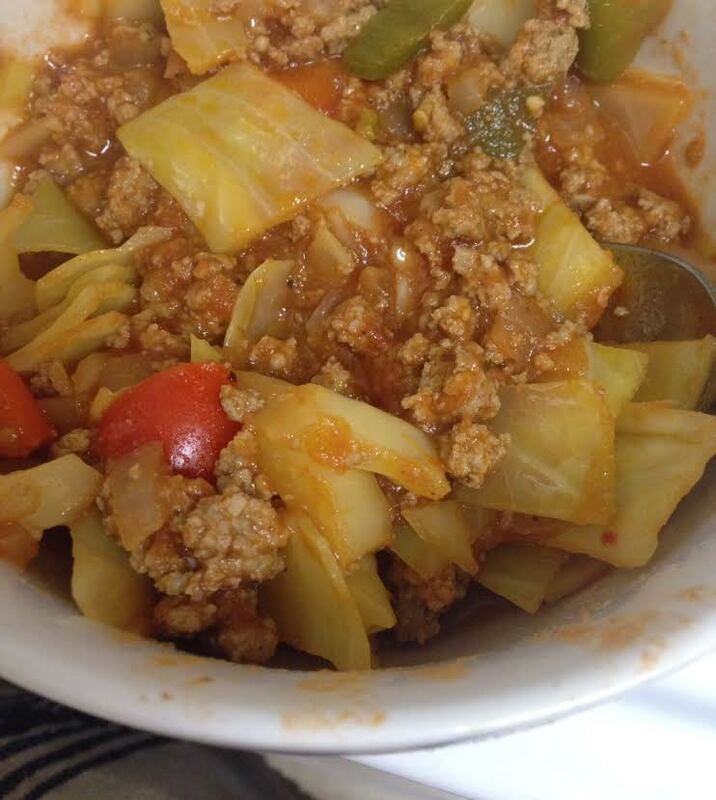 Add the chopped cabbage, tomatoes, tomato sauce, pepper, chili flakes and salt. Bring to a boil. 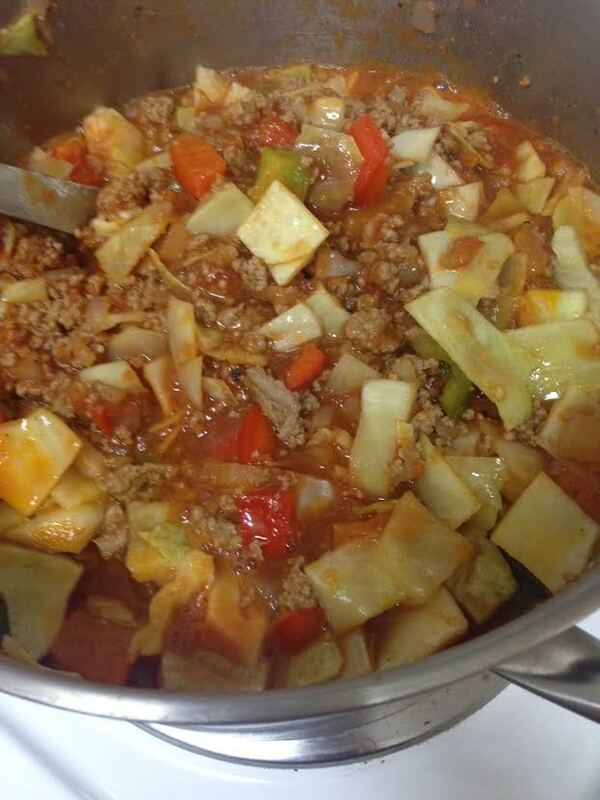 Cover and simmer for 20 to 30 minutes, or until cabbage is tender.